A very special week from Debbie Calleja-Atkins, a new teacher who is bringing much more than just yoga for her first week at Shanticentre. 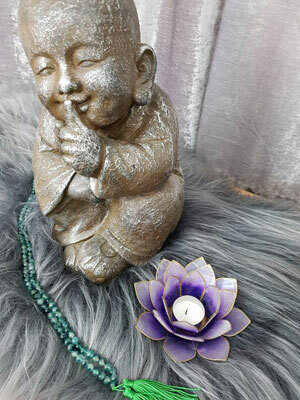 As well as plenty of asana based yoga practice, Debbie is going to treat her yogis to Aqua Yoga in the pool, evening sound baths to send you off to bed in a state of pure bliss and a free complementary crystal healing one on one for everyone who attends. 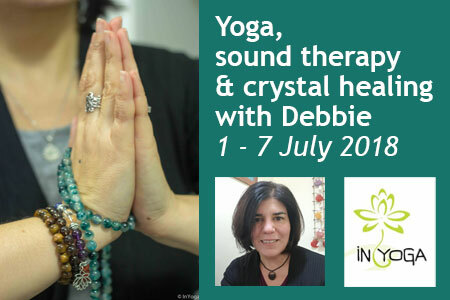 During Debbie’s classes you will be guided to reconnect your mind, body and soul with a calming and relaxing yoga lesson. These classes will allow you to go deeper into yoga, relaxation and meditation through moving, breathing, relaxing, opening up and looking within. Access your inner self through guided meditations and visualisations; stretch, tone, align and balance your body through a practice of series of asanas with modification and adjustments to accommodate our different bodies. Allow for the vital, much- needed and deserved self-care to happen. Also, be prepared to sweat, have fun and laugh!